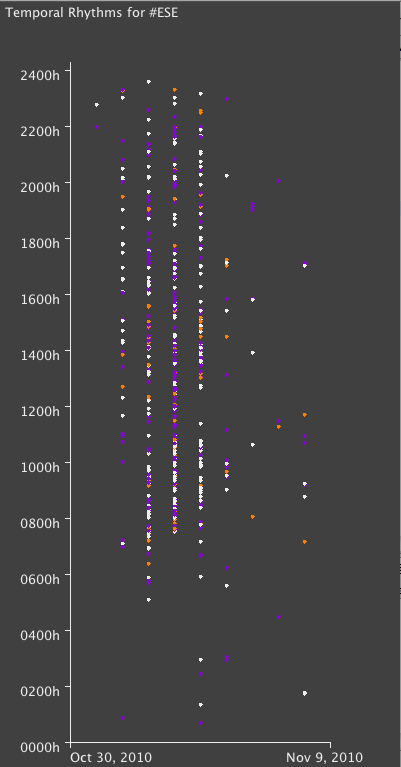 I wanted to explore temporal rhythms around the conference, for example to pick out more popular or particularly tweet-able sessions. 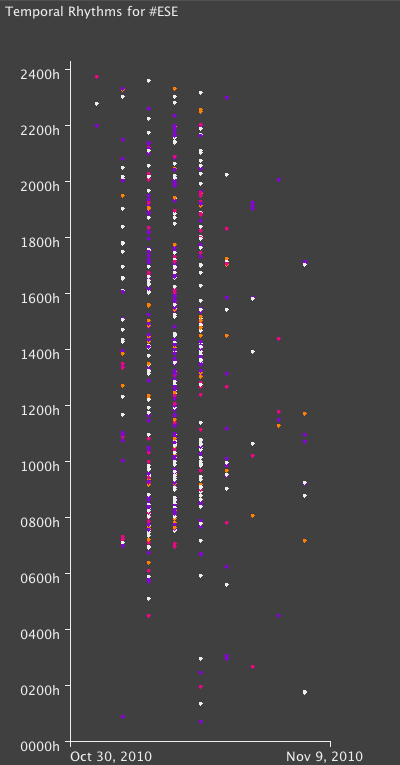 Disappointingly, no patterns are immediately obvious here – it seems like tweeting was reasonably consistent throughout. I removed directed points to see if that made a difference. Not really! Although now there are some small gaps – session breaks, perhaps?